My Cluttered Corner: Blog Hop Winner!! Love that!! Those BG tabs are pretty cool--just got some. Love your blog! 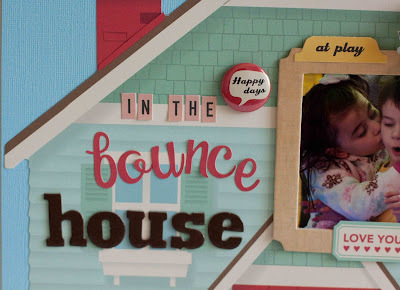 There were winners chosen from each of the designers blogs and they were all posted on the Scrapbook Circle blog, so be sure to stop by there to see if you won! And if you weren't a lucky winner this time around, never fear. I am coming up on my 200th post VERY soon. And it will definitely be time for another giveaway. Until then, just wanted to share this one. 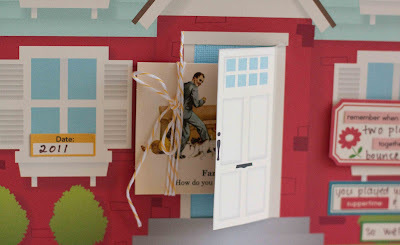 I had to have two of the October Afternoon die cut houses from Modern Homemaker because each side is so darn cute. I am saving the flip side for a layout about Little Miss's doll house. I had fun exacto-ing (ok I know that is not a word) the door and sticking one of the flashcards in. Seems like the Studio Calico wood veneer frame and notion were made to go perfectly with this October Afternoon line. 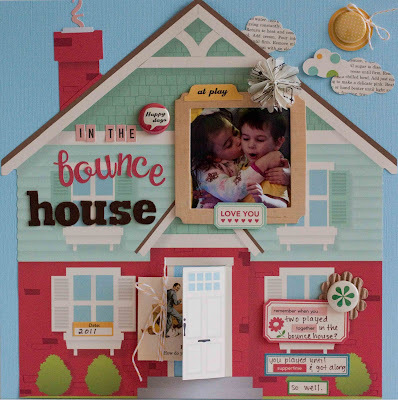 I have another one with October Afternoon's Schoolhouse line, but it is for the Elle's Studio February gallery, so I can't share just yet. SIGH!!!!!!! now Rebecca that is just the cutest thing ever!!! I love the cut out elements to death! Love your unique house shaped LO and that little peep through the open door. 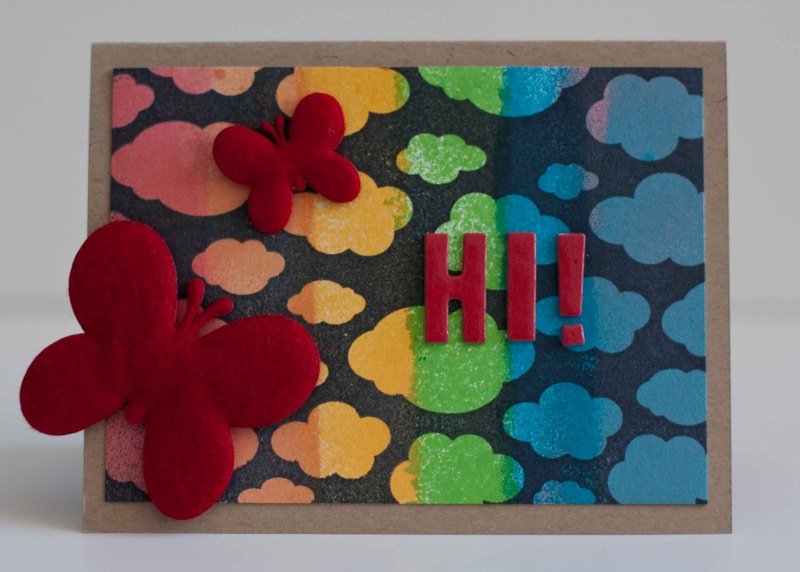 Girl I love that House LO and the rainbow cloud paper on that card is FAB!!!! love your layout so much Rebecca!! It is soooooooo cute!! !